A Sermon Preached at the Consecration of St. Paul's Church, Philadelphia, January 1, 1831. Philadelphia: Printed by William Stavely, 1831. The Importance of Uniting Manual Labour with Intellectual Attainments, in a Oreparation for the Ministry: A Discourse Preached at the Request of the Episcopal Education Society of Pennsylvania, and Printed by Their Direction. Philadelphia: George Latimer and Co., 1833. Address Delivered on the Occasion of Laying the Corner-stone of the Church of the Epiphany, Philadelphia, March 24, 1834. Memoir of the Rev. Gregory T. Bedell, D.D. Rector of St. Andrew's Church, Philadelphia. The Connexion between Early Religious Instruction and Mature Piety: A Sermon Preached in St. Paul's Church, Philadelphia, May 22, 1837. Philadelphia: American Sunday-School Union, 1837. Sermons Preached in the Church of the Epiphany, Philadelphia. Philadelphia: Printed by William Stavely, 1839. The Trial of American Principles. Philadelphia: T.K. & P.G. Collins, 1839. The Bible Companion: Designed for the Assistance of Bible Classes, Families, and Young Students of the Scriptures. A Letter Sustaining the Recent Ordination of Mr. Arthur Carey. New York: George S. Appleton, 1843. A Plea for Union: A Sermon Preached before the Special Convention of the Protestant Episcopal Church in the state of Pennsylvania, in St. Andrew's Church, Philadelphia, September 6th, 1844. Philadelphia: Stavely and M'Calla, 1844. Lectures on the Law and the Gospel. The Beloved Physician: A Discourse Addressed to Medical Students, Delivered in the Church of the Epiphany, Philadelphia, February 4, 1844, at the Request of the Medical Students Temperance Society. Philadelphia: King & Baird, 1844. The Israel of God: A Series of Practical Sermons. Twenty-first Anniversary Address before the American Institute of the City of New-York: at the Tabernacle, on the 12th Day of October, 1848. New York: Van Norden and Amerman, 1848. Duty to Our Own Generation: A Thanksgiving Sermon, Preached in St. George's Church, New-York, December 12, 1850. New York: The Vestry of St. George's Church, 1850. A Lamb from the Flock. New York: R. Carter & Bros., 1851. Washington, an Exemplification of the Principles of Free Masonry: An Oration delivered in the Metropolitan Hall, in the City of New York, Nov. 4, A.L. 5852, at the Centennial Commemoration of the Initiation of George Washington into the Order of Free and Accepted Masons. New-York: Printed by R. Macoy, 1852. Christian Titles: A Series of Practical Meditations. New York: R. Carter & Brothers, 1853. A Memoir of the Rev. W.A.B. Johnson, Missionary of the Church Missionary Society, in Regent's Town, Sierra Leone, Africa. New York: R. Carter, 1853. The Duty and Responsibility of Private Judgment in Religion: A Sermon Preached before the Protestant Episcopal Society for the Promotion of Evangelical Knowledge, October 9, 1853, at Saint George's Church, New York. New York: Depository of the Evangelical Knowledge Society, 1853. Fellowship with Christ, A Guide to the Sacraments. New York: Protestant Episcopal Society for the Promotion of Evangelical knowledge, 1854. The Rich Kinsman: The History of Ruth the Moabitess. New York: R. Carter & Brothers, 1855. The Tenth Anniversary: A Discourse, Delivered in St. George's Church, New-York, April 15, 1855. New-York: John A. Gray, 1855. The Child of Prayer: A Father's Memorial to the Rev. Dudley A. Tyng. New York: John A. Gray, 1858. A Sermon on the Occasion of the Death of the late Rev. Dudley A. Tyng, Delivered in the Church of the Covenant, Philadelphia, on Sunday, April 25, 1858. The Captive Orphan Esther, the Queen of Persia. New York: R. Carter, 1860. Forty Years' Experience in Sunday-schools. The Young Man's Contests: The Baccalaureate Sermon Preached in Rosse Chapel, Kenyon College, Ohio, June 22d, 1862. Gambier, Ohio: Printed at the Western Episcopalian Office, 1862. A Sketch of the Character and Ministry of the Rev. 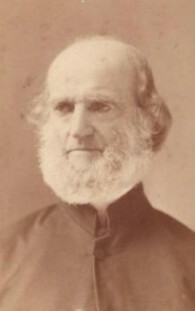 Benjamin Clark Cutler, Rector of St. Ann's Church, Brooklyn, N.Y.
New York: A.D.F. Randolph, 1863. Christian Loyalty: A Discourse, Delivered in St. George's Church, New-York, April 30th, 1863, the Day of National Fast. New-York: J.A. Gray & Green, printers, 1863. New York: John A. Gray & Green, 1865. The True Yoke-fellow: A Commemorative Sermon on the Life and Labors of the Rev. William M. Van Wagenen, A.M. Preached in the Church of the Holy Trinity, New-York City, on Sunday Evening, October 14th, 1866. New-York: John A. Gray & Green, Printers, 1866. Address at the Installation of Officers of Prince of Orange Lodge no. 16, New York City, December 29, A.L. 5866. New York: Baldwin & Jones, printers, 1867. The Liberty of Preaching: Its Warrant and Relations: Two Sermons Preached in the Church of the Holy Trinity, New York, on Sundays September 29th and October 13th, 1867. New York: John A. Gray & Green, 1867. Address at the Funeral of Mrs. John Steward, at Grace Church, N.Y., 1st of August, 1867. Such an One as Paul the Aged: A Sermon Preached in St. George's Church, New York. New York: T. Whittaker, 1872. My Name is Legion. A Sermon, Preached in St. George's Church, in the City of New York. New York: National Temperance Society and Publication House, 1873. The Office and Duty of a Christian Pastor. A Sermon Preached in Christ Church, Quincy, Mass., at the Consecration Service, June 21st, 1875. Boston: Grant's Church Press, 1875. He Will Come; or, Meditations upon the Return of the Lord Jesus Christ to Reign over the Earth. New York: Mucklow & Simon, 1877. Record of a Life of Mercy: Personal Biography from 1800-1845: Prepared and Printed in Parts, for My Children and Friends. New York: S.W. Green's type-setting Machinery, 1879. The Fifteenth Anniversary Sermon Delivered in the Church of the Holy Trinity, Madison Avenue and Forty-second Street, New York City, on Sunday Morning, May 4, 1879. New York: People's Pulpit Pub. Co., 1879.